Hope Worldwide Malaysia utilized Microsoft software donations to establish IT centers for underprivileged youth, and update its ICT infrastructure in support of its many educational, scholarship, and training programs. HOPE Worldwide Malaysia is a nonprofit that has been around for nearly two decades beginning 1996. What started as their first community program, a free health clinic in 2000, has then blossomed to an array of initiatives that tackled problems not only related to health, but also food and education. On top of their initial program, their initiatives now also include educational assistance and monthly grocery provisions to underprivileged children and families, to name a few. 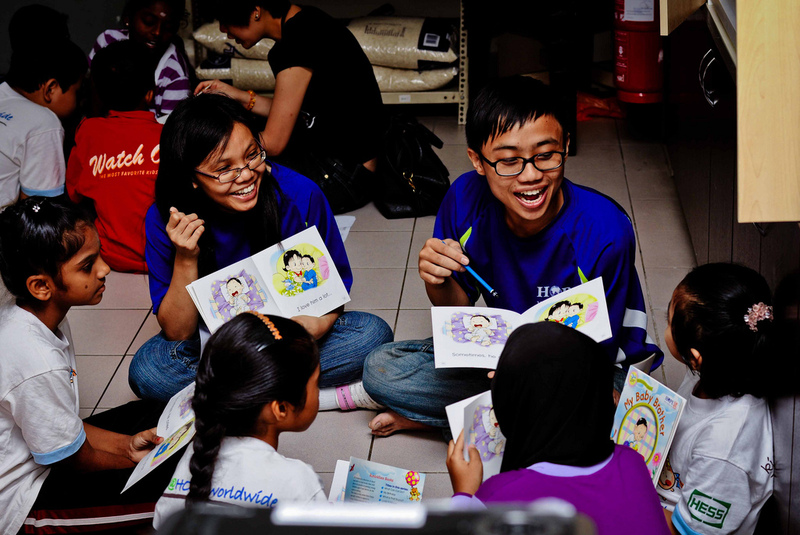 Focusing on their initiatives towards education, their executive director, Katy Lee, shares that they also currently provide school sponsorships, a mini library, a reading program for the underprivileged children of Kuala Lumpur and Penang (MY Reading Program) and lastly the Creative Art Program, which is a venue for children to develop their self-esteem and self-confidence through artistic expression. Katy shares that through TechSoup Asia-Pacific, they were able to add yet another program to an already rich assortment of educational initiatives. The affordable, genuine licenses of Microsoft software that they got through TechSoup Asia-Pacific was used to develop the necessary I.T. infrastructure for their ‘1-stop I.T. Resource Centers’ located in Penang and Kuala Lumpur. Since the establishment of the I.T. centers in 2013, the organization has continuously put the genuine licenses of Windows 7 and Office Suites to good use by continuously serving over 72 underprivileged children, ages 7-19, and counting! Through the centers underprivileged children can now gain access to a wide array of I.T. services such as free access to the internet and free printing services for their homework. But aside from that, the organization has also used the Microsoft software licenses to create a lasting impact on the children by providing free ICT training sessions regularly. These sessions are referred to as the ‘Microsoft Skills Learning Classes’. Through these regular training sessions, underprivileged children are taught how to properly use Microsoft Office software in order to help them in their studies and to serve as an added skill as well. Lastly, Katy shared that through the affordable genuine licenses made available through TechSoup Asia-Pacific their organization can now easily keep their ICT infrastructure up-to-date.